India and Pakistan are engaged in an ongoing military confrontation in the disputed Kashmir region and its neighboring provinces; the heightened tensions stem from a suicide car bombing that happened on 14 February 2019. 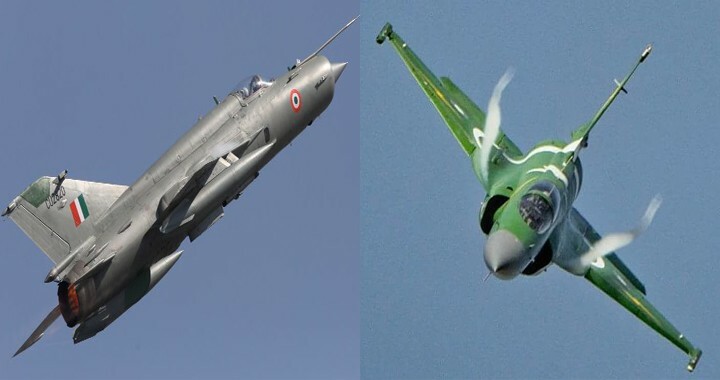 Pakistan’s triumph in the air against the intruding Indian warplanes was “an inauspicious moment” for India’s military that the United States is banking on to help keep China in check, The New York Times reported on Monday. “While the challenges faced by India’s armed forces are no secret, its loss of a plane last week to a country whose military is about half the size and receives a quarter of the funding was still telling,” the Times correspondent, Maria Abi-Habib, wrote. The dispatch added, “An Indian Air Force pilot (Wing Commander Abhinandan Varthaman) found himself in a dogfight with a warplane from the Pakistani Air Force, and ended up a prisoner behind enemy lines for a brief time. In just a decade, the Times said, United States arms sales to India have gone from nearly zero to $15 billion. “But Pakistan can still draw on a powerful American-supplied arsenal,” it added, without elaborating. China has significantly outpaced its rival, creating a robust and taxable middle class. China’s economic boom has allowed it to invest aggressively in buying top military hardware and producing it at home. As the world’s conflicts are increasingly fought with state-of-the-art weaponry rather than the large invading armies of the past, India is falling behind. 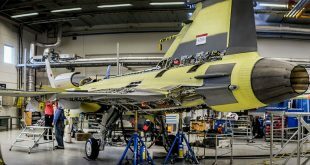 Despite being the fifth-largest military spender, only about a quarter of its military budget this year will purchase new equipment. Although the purchase of military hardware is a slow-moving process in most countries, in India it moves even more sluggishly amid a swollen bureaucracy. There are also concerns about corruption. Modi is currently being grilled by the opposition over a murky $8.9 billion deal to buy 36 Rafale fighter planes from France. His political opponents have cast the agreement as corrupt in an effort to discredit him ahead of elections. The purchase will help India replace its aging fleet of MiG-21s and other jets. And on Saturday, the prime minister tried to turn the tables on the opposition, saying India would have fared better in its skirmish with Pakistan last week if it had had the Rafale jets. “The country has felt the shortage of Rafale,” Modi said. The problem is, that both jets fell inside Pak occupied Kashmir. As usual there was a massive cover up by the Pakistanis about the loss of the F16, to avoid embarrassment. Because it was downed by a Vintage IAF Mig 21. But I see that in these forum, nobody wants to acknowledge the loss of F16, as it affects the market. So, There is a very biased view about IAF and all opinions are in favour of Pakistan. Had the battle continued for a few more minutes, then PAF would have definitely lost more jets. The balance 23 jets of the PAF retreated. IAF has provided the proof from it’s Radar images and electronic signatures and also acknowledged the loss of its aircraft. IAF is a highly professional AF. Remember the 9:1 kill ratio against the USAf in Cope thunder 2004 & 5. Of course there is always massive cover up by “other sides” as innocent Indians are always caught with their legs open. The only way to “prove” f16 loss is to “acknowledge ” f16 loss. As it is the other side’s duty to open the sites to the world , but India can’t provide any video footage or radar, radio data because it is “classified “. Cute little Indian with naive little demands.